As if I didn’t already love the i♥faces challenges enough… this week I’m UBER excited because [b]ecker is the guest judge!!! My Daddy and I are registered to attend his Vancouver workshop in January, and the idea that he could see one of my images this week has me grinning from ear to ear! Head on over to i♥faces to see the rest of this weeks entries. I can see why it is one of your faves. It is totally adorable. Love his little outfit and those big blue eyes and the dreamy flare. Perfect. OK, he is just adorable – LOVE those eyes!! And that little suit …. too cute! aw what a dapper little man. Adorable and great sunflare! A child should NOT have eyelashes that long!! Oh my! 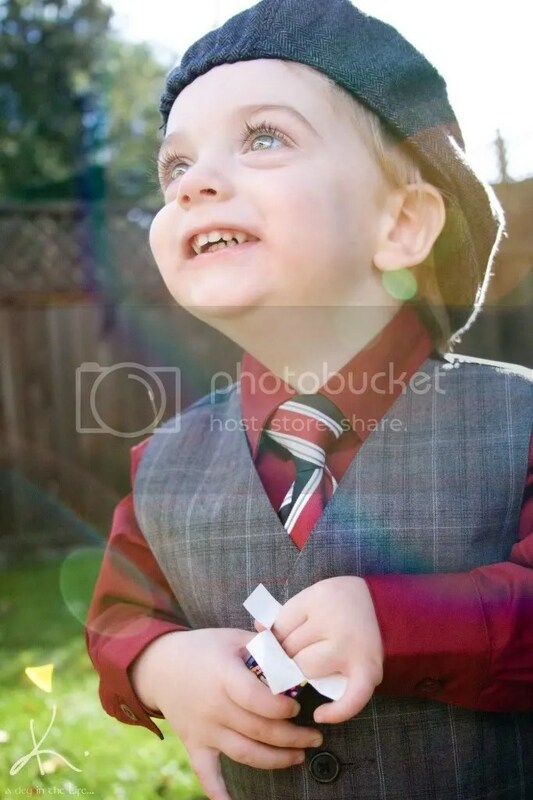 Gorgeous little boy and the flare is wonderful! Great, great job! Goodness, he's so handsome and I love his outfit!!! Awwww, cutie pie!!! Great flare too! um this is ADORABLE! what a fantastic capture – that outfit, those eyes, the flare . . . perfect! What a fantastic photo! Those eyes are absolutely amazing! I love it! The little suit, his expression, the flares, oh so perfect for this week! He is just adorable, and I love the soft sun flare that you captured! Enjoy your workshop – I'm sure it will be amazing and your head will be spinning with so much information when you leave!